Franchise Information - Toodaloo Pest Control - Call Us Now! Toodaloo boasts a connected support system for all of our franchise partners, building and succeeding as a team. Approved applicants are contacted via phone within 72 hours of receiving their completed application. 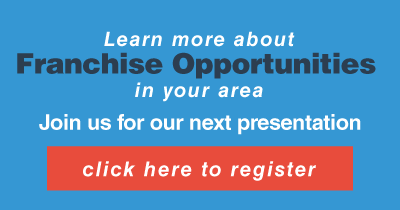 Instead of outsourcing your questions or concerns, Toodaloo provides in-house franchise specialists which are available to all of our partners. Business plans, budgets and reviews are carried out using our specific franchising systems. Final interviews and approvals are carried out following a thorough business systems review. Toodaloo services operates within a business model that encourages success and involvement in all aspects of our franchise offices. Franchisees have a unique opportunity to share daily operations with our Toodaloo support centre. With the tasks of daily dispatch and phone reception, franchise partners are able to focus on their own daily operations and tasks. Customer interactions can be divided among the call centre and in person with franchisees and their own Toodaloo staff. With smaller issues such as estimates or service outlines, technicians have the opportunity to provide face to face services for clients. Toodaloo Franchise Partners work in the field on the Toodaloo App, allowing them to run the entire business from their tablet or even their phone. From estimates, Work Orders, Daily Scheduling, it’s all at the tips of their fingers, making the business virtually paperless!